- Shirt is made with Cotton fabric. - Dopatta is made with Lawn. 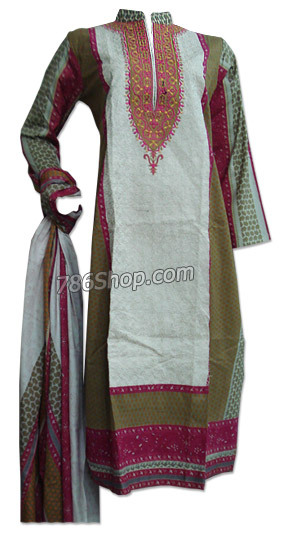 - Shalwar/trousers are made with Cotton fabric. READY to ship: Available up to our XL size. This dress is shipped in 2-3 working days. "I received my order on 08-11-2003, it was a lot sooner than I expected. The workmanship & quality is outstanding, all dresses fit the best and embroidery is very neat and machine washable, t..."